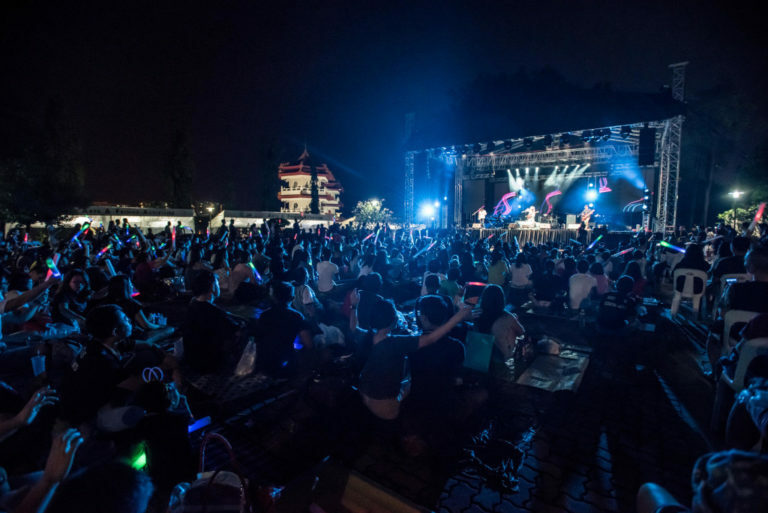 NParks Concert Series in the Park: Rockestra® is back! And there is much to look forward to. For starters, it’s happening at Lakeside Field at the newly rejuvenated Jurong Lake Gardens for the first time. If you haven’t taken the family there since it reopened, this is the perfect opportunity. Lakeside Field is located in Jurong Lake Gardens West, where you’ll find a nature-themed play area for the kids, alongside a restored swamp forest and wetlands, lifestyle and sports facilities, and F&B options. After a fun day of play and exploration, settle on your picnic mat for Rockestra®. There’ll be yummy food for sale on site, with both Halal and non-Halal options available. This instalment is themed ‘East Meets West’. Sing along to your favourite English, Cantopop and Mandopop hits performed by popular local bands, Enigma, NationOne, SuperSonic, The JumpStart and The Switch Gang. It will also feature, for the very first time, The Peppertree Band, winner of NParks Live Out Loud: Battle of the Bands 2018, as well as 10-year-old singing sensation Jordin Tan! For more info, SMS <Rock11> to 77275 or visit facebook.com/nparksbuzz.